Jelly Comb 2.4G Slim Wireless Mouse. Wireless mice use Bluetooth technology to connect to your computer, freeing your desktop from the clutter of extra cords. Because they rely on Bluetooth, wireless mice connect just like any other Bluetooth device — with a few extra considerations. 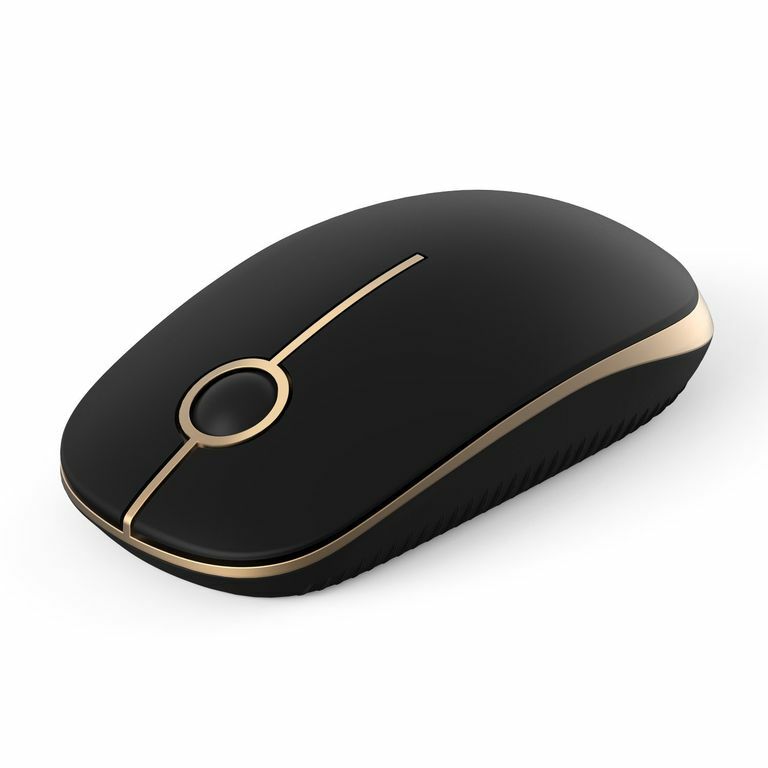 To pair with your computer, the wireless mouse must rely on its on-board transmitter, which communicates with a receiver inside the computer. Most modern tablet computers and laptops feature built-in Bluetooth radios. However, some desktop computers do not. If your computer doesn't naturally support Bluetooth, purchase a Bluetooth adapter, or select a wireless mouse that includes a USB dongle that serves as a receiver. Open the Settings app (press Win+I as a shortcut) and select Devices. From the left-sidebar menu, select Bluetooth & other devices, then click the plus sign next to Add Bluetooth or other device from the right pane. In the pop-up window, click Bluetooth. Follow the steps of the add-device wizard. You'll need to put the wireless mouse in pairing mode; the procedure for setting this mode differs by manufacturer, so check your quick-start instruction guide. Windows will detect the mouse and add the relevant drivers. Put your wireless mouse into pairing mode (check the device documentation for instructions). Click Apple > System Preferences > Bluetooth. Your Mac will search for any device in pairing mode when you open the Bluetooth panel. When the computer finds the mouse, it'll display in the window. Click Pair. Open the Bluetooth panel and ensure that the switch at the top is set to the On position. Place your wireless mouse in pairing mode (check the device documentation for instructions). Click your mouse in the Devices list and finish the setup. You should complete this step within 20 seconds to avoid timeouts. When the mouse connects, its status will display as Connected. Click the connected mouse to open a panel for device-specific customization. Check out our Bluetooth pairing troubleshooting guide if you require additional support. You must remain relatively close. Although you can go as far as 33 feet away from your computer with a Bluetooth mouse — much longer than a corded mouse with a 6-foot tether — taking the mouse out of range might require that you re-pair the device. The wireless mouse requires batteries. So you'll either need to carry spare batteries or a charging cable for wireless mice with non-replaceable batteries. Although most modern Bluetooth mice go for months or years on a single set of batteries, Murphy's Law suggests your mouse will die at the worst possible moment. So plan ahead. Different mice support different numbers of paired devices. Some mice pair with one computer at a time; several models can support two or three devices. If you travel with one mouse but two computers (e.g., a laptop and a Windows tablet), pick a mouse that can support both without re-pairing each time you use it. Wireless mice and their dongles sometimes grow legs. If your computer requires a dongle, look for a low-profile model that you can leave permanently inserted into a USB slot. Larger dongles can fall off or become damaged in a laptop bag. Different computers load Bluetooth drivers at different points in their startup sequence. Should you need to troubleshoot a computer that's not starting properly, you might find that your Bluetooth mouse doesn't load before the computer goes awry. Usually, USB drivers load before wireless drivers, so you may have better luck troubleshooting a wonky computer with a wired mouse. What Is a Computer Mouse?